The Microbiome as an Ecosystem. What’s in common between wolves and our microbiome? The microbiome is often described as an ecosystem, but what does that mean really? To understand this, we really have to use a bigger analogy, one that applies to an ecosystem that we can see. A video about the wolves of Yellowstone National Park has been making the rounds on Facebook (https://www.youtube.com/watch?v=ysa5OBhXz-Q), and it does a great job of illustrating how things really work. Most of us are led to believe that biological systems are inherently stable, but that is simply not true-they are truly quite dynamic and always in a state of flux. In the Yellowstone example, the reintroduction of a few wolves after a 70 year absence caused a cascade effect greatly out of perceived proportion to the introduction of a few animals. The wolves chased the elk out of the valleys and river basins, where they had been overgrazing. This resulted in increased grass, shrub and tree growth, which reduced river erosion and altered the whole terrain. The effect was compounded by bears descending to the valleys to eat from the newly grown berries, chasing more elk away. Beavers returned, since they eat the bark of the young trees. Their activities changed the topography even further! Many other species end up returning, bringing stability to the ecosystem. That is a recurrent theme: ecosystem diversity increases function and systemic stability. In contrast is the unhealthy microbiome, often resulting from poor diet or antibiotics in food or as medicine, and function is lost throughout the body. As I’m working on a short book on Lyme disease, I am constantly reminded of this. The tremendous loss of diversity in gut bacteria (one patient’s uBiome results showed her to be in the “0 percentile” compared to other women for gut bacterial diversity) results in immune dysfunction. Examples include a loss of Interleukin-10 production, important because it protects brain cells from bacterial infection as occurs in neuroborreliosis. IL-10 also inhibits inflammatory IL-17 production triggered by the Lyme spirochete, thereby restoring the integrity of the blood-brain barrier and joint capsule membranes, making it harder for the spirochete to evade phagocytic immune cells sent to kill it. Another classic example is microbiome production of alpha-galactosylceramide, which activates invariant Natural Killer T-cells. These iNKT cells are necessary for several of the body’s immune reactions to Borrelia burgdorferi, the Lyme bug. So, through antibiotic treatment to kill Borrelia, the body’s microbiome is decimated-taking with it much of the immune response needed to prevent reinfection or relapse. Why is this important, and what can we do about it? well…stay tuned to find out! This entry was posted in Uncategorized and tagged borrelia, ecosystem, Lyme, neuroborreliosis, paleo, probiotics, symbiont on November 25, 2015 by Dr. Richard Matthews. Is Organically Grown, Grass-fed Meat Healthier? So, you’re walking about in the grocery store, carrying on that inner dialog about what to purchase…when you notice the meat counter. You have a choice now: do you purchase the Angus ground beef, the grass fed beef, or the organically grown grass fed beef? The Angus is less expensive and its high saturated fat content means your grilled burgers will stay moist, but you’ve been wondering if there is any health benefit to the organically raised meat. Sound familiar? 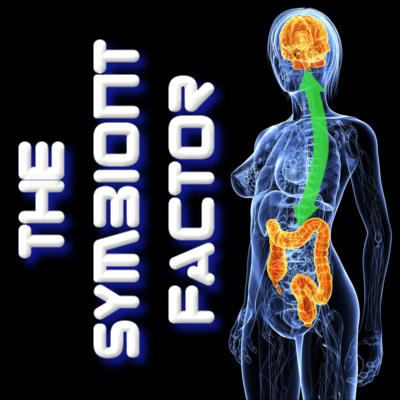 Today, I’m going to present a point of view based on the available facts that researchers have shown us, using concepts from my book The Symbiont Factor. And, I’ll try to make it as practical as possible! A study was just published about the prevalence of the phylum Proteobacteria being a direct indicator of gut and general health. More Proteobacteria is a bad thing, in other words. Why is it bad? This phylum includes the notorious microbial outlaws Helicobacter (ulcers, anyone? ), Vibrio, Salmonella, E. coli (all causing gastrointestinal distress) and Yersinia (plague…) How would you know your own levels of Proteobacteria? A simple uBiome test can provide a percentage measurement that correlates with the Shin study mentioned above. How would your Proteobacteria get elevated, you might ask? Well, two major factors that we are aware of: antibiotic exposure and high fat/sugar diet (aka “the Western Diet”, which is the laboratory standard for creating disease). Going back to your choice of ground meat, some guidelines for a choice are now apparent. Grass-fed beef is much leaner, though this will also require a slightly different cooking method to have it palatable. It tends to have more flavor, which some people call “gamey-ness”, though from my point of view it is how beef should taste as cattle should eat grass and not grain. Wild meat such as venison has even more flavor. When accustomed to it, grain-fed beef is utterly bland. So, the reduction in fat content in the grass-fed beef is less likely to promote an overgrowth of Proteobacteria. Because of the effect of higher fat content, the choice for this reason would be grass-fed. In addition, the fatty acid profile of grass-fed beef promotes less inflammation, as the meat has a higher percentage of Omega-3 and DHA fats. The second item to consider would be antibiotics. Meat that is not organic has antibiotic residues that, when consumed, exert an antibiotic effect on the human. Antibiotic exposure has been found to promote overgrowth of Proteobacteria, so this is bad! In addition, antibiotic exposure promotes the development of antibiotic resistant species, which is a further health risk. Overgrowth of Proteobacteria causes a suppression of beneficial bacteria as well, creating a disease-prone condition. At this point the only remaining factor is cost. The healthier product costs more, though now even Hardee’s and Carl’s are advertising a grass-fed organic hamburger-an obvious example of the power that consumers wield. Don’t jump to conclusions, though, as prepared “the fast food way” it will likely still have a high enough fat and calorie content to make it a not-healthy choice. Still, it’s a step in the right direction and will be healthier than the regular burgers they serve! The easiest way to balance the cost-vs.-health equation is to either buy a sufficiently smaller quantity of the grass-fed meat that your budget is unaffected, or view the extra cost as the cost of health and disease prevention. After all, the doctor bills that occur in later life certainly can outweigh the added cost of the healthier meat choice! The benefits in quality of life, however, are priceless. This entry was posted in Uncategorized and tagged antibiotic, atherosclerosis, beef, carl's, crohn's, E. coli, feedlot, grain-fed, grainfed, grass-fed, grassfed, hardee's, heart, inflammation, microbiome, probiotics, proteobacteria on July 28, 2015 by Dr. Richard Matthews. 6. The human microbiome can alter the way our brain’s receptors respond to neurotransmitters, changing it significantly. 2. Gut bacteria are true symbiont organisms; they aren’t “hitching a ride” but are indeed a part of us that functions more like a vital organ. They are part of why we are alive; death of the microbiome causes disease and aging! 1. The only source of energy that fuels this planet is sunlight, and only plants (true plants, algae, cyanobacteria) can process sunlight into biomass. After that, only bacteria can digest plants to produce energy…so everything from termites to cattle including us can only digest plants because of our gut bacteria. No gut bacteria? very very bad news! So, get out your copy of my book, The Symbiont Factor, and read up on the microbiome, okay? Oh, you don’t have it yet? Be good to your bugs and buy a copy then! This entry was posted in Uncategorized and tagged ADD, ADHD, David Letterman, gaps diet, gut bacteria, gut brain axis, Letterman, microbiome, neurotransmitter, perlmutter, probiotics, symbiont on May 22, 2015 by Dr. Richard Matthews. As a human being living on Planet Earth, I sometimes ponder where my species fits in to the planet’s ecosystem. I know, it’s not really a normal thought, and it might be more entertaining to see what one of the Kardashians wore yesterday (Who? LOL) but as the author of The Symbiont Factor I really do think about such things. You see, from a physics point of view (yes, I was initially an engineering major before biology) this planet really only has one source of incoming energy to keep “the circle of life” going. That incoming source of energy is of course sunlight. Only photosynthetic organisms can convert sunlight into biomass that is usable by other life forms such as humans. Photosynthetic organisms are all some version of a plant, simple or complex. Yes, cyanobacteria and algaes, it could be argued, are not plants-but they have chlorophyll and they photosynthesize, so they could for this purpose be grouped as “plants” in a looser way of thinking. Here’s where things get interesting, because the only organisms which can digest cellulose are bacteria. The only remaining photosynthetic organisms are cyanobacteria, which are bacteria. It is therefore accurate to say that the processing of all “incoming energy” beyond the plant is dependent on bacteria. Think about it for a moment-termites cannot digest wood fiber, being completely dependent on their microbiome (gut bacteria!) to digest it. The same thing can be said of any other organism on the planet which eats plant material! Cows, horses, rabbits-all depend on a complex gut microbiome to digest plant fiber. We humans also depend on our gut bacteria to digest plant fiber. Nothing can digest plants without the aid of bacteria. Why is this important? The above discussion should point out that without bacteria there could not be much life beyond the plant world and cyanobacteria. Indeed, some researchers have stated the belief that cyanobacteria may have been the first organisms on the planet, with complex groups evolving into what we see as plants and algaes today. Our present life form would not exist if it were not for our symbiont bacteria. Symbiont organisms, as explained in The Symbiont Factor, have provided us with a fast acting rapid evolution capability that has aided our survival and permitted our continued development. These symbiont organisms guide the development of our brain, endocrine system, and immune system. Without a balanced microbiome we cannot develop normally. Our microbiome greatly enhances our ability to cope with famine, stress, or immune challenges without having to resort to inter-generational evolution. The microbiome has at least 100x the gene count as our human cells and can change the activation of those genes (and our own!) to help us adapt and survive. When you consider the above discussion and realize that we are routinely destroying our internal microbiome as well as the planet’s microbiome, it should be food for thought that our present level of function at the top of the food chain may be more precarious that we believe. The delicate microbial balance that allows our brain and body to function at a high level is easily disturbed by poor nutrition (think McDonald’s) and high levels of antibiotics from both medicinal use and residues in meats, as well as other factors discussed in my book. Learning the importance of the microbiome is essential to understanding life itself! This entry was posted in Uncategorized and tagged cyanobacteria, ecology, gut bacteria, pollution, probiotics, symbiont, symbiosis, vegan, vegetarian on May 20, 2015 by Dr. Richard Matthews.